It's egg time again! The boys wanted to make eggs again, so we tried two more ideas. 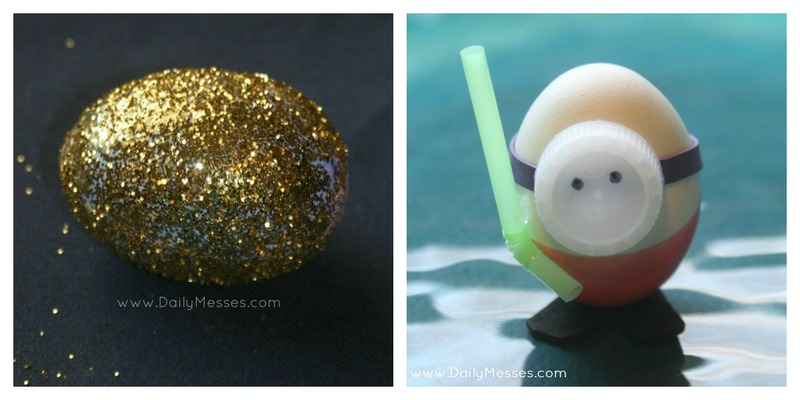 The boys loved the sparkly Diva Egg from last year, so we made an even more glitter covered egg this year. The snorkel egg is an adorable egg that I saw a picture of online. 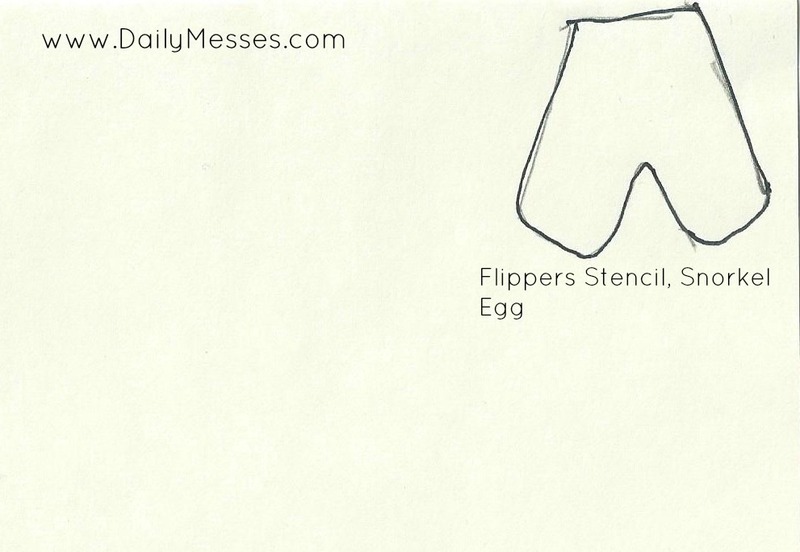 I didn't see any directions with the picture, so below is how I made the egg. It is pretty easy to make with items you probably already have in your kitchen. Diva Eggs, Part II (aka Glitter Eggs): Dye a hard boiled egg any color you like, or you could also leave the egg white. Brush on non-toxic craft glue with a paint brush and sprinkle on glitter. My glitter had a shaker top, but you could also use a spoon to help shake glitter over the egg. Let glue dry. DM Tip: The glitter does tend to get everywhere, so be prepared to have glitter show up randomly around your house! If you use Elmer's school glue, the glitter and glue will wash off pretty easily when you are ready to peel and eat the egg. Snorkel egg: Dip the bottom part of a hard boiled egg into dye. Let dry. Cut out fin shapes from black paper or foam sheet and attach to egg with glue or glue dots. Draw eyes on a white bottle cap with a permanent marker. Set aside. Place a small rubber band around round the top of the egg and attach the cap to create the face mask. To create the snorkel you will need a bendy straw. Cut a piece of straw, about 2 1/2 inches long and make sure the bendy section is towards the end the cut section. Attach to rubber-band (I used glue dots). 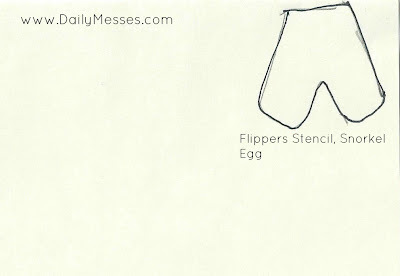 DM Tip: I have a stencil below for the flippers.